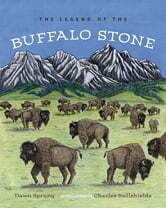 The Legend of the Buffalo Stone is based on the history of the Blackfoot people—specifically their dependence on the buffalo and how they hunted the great animals on foot before horses were brought to North America—and is retold with the permission and under the advisement of a First Nations scholar and member of the Blackfoot nation. 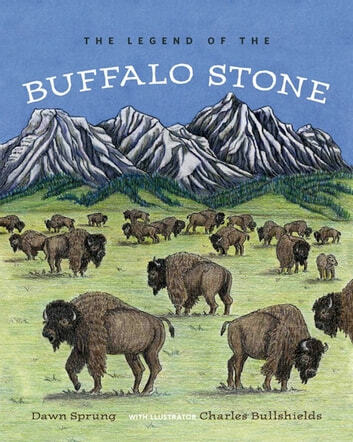 The story centres on Hanata, a young Blackfoot girl who understands the importance of the buffalo for her peoples’ survival. She not only helps to hunt the great animals, but also prepares the meat and skins and makes toys for the younger children using bison bones. She knows that without the buffalo, her people would lose their main source of food and shelter. Then, a long winter descends on the land and the buffalo disappear. Hungry and desperate, Hanata goes on a quest in search of an iniskim a stone shaped like a sleeping buffalo and possessed of powers that will make the buffalo return. After a long and dangerous journey with only basic supplies and courage in her heart, Hanata finds the stone and comes back to her village. She uses the iniskim to the call the buffalo and, sure enough, the animals return. Hanata and her people are saved. This story is ideally suited for elementary school–aged children and can easily be incorporated into the grade four and five Alberta school curriculum, which covers First Nations history and legends.